"I got teammates! And as long as I got them, I ain't never gonna give up! But you wouldn't understand that feeling, huh?!" 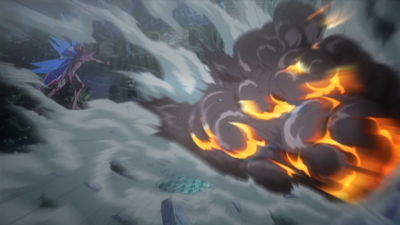 "Kamui the Great rides Asura Kaiser!" Anime Biography: An ambitious cardfighter who regularly takes on opponents several years his senior. Kamui has an intense crush on Aichi's sister, and most of his actions in the series revolve around impressing her. Years ago he was a bullied for being short, but Daimonji Gouki eventually helped pull him out of his depression. As time went on, Kamui learned from Gouki that strength was more than a physical concept. Of Team Q4, Kamui competes with Kai for the top spot as the best raw fighter, but where Kai is cold and emotionally distant, Kamui is ruled by passion and impulsive outbursts. Kamui's lack of emotional control is what ruins Q4 in their first entry into the national competition. Kamui refuses to tolerate Kai's cold behavior and ruthless concept of Vanguard. Rather than learn to cooperate and accept his teammate's faults, Kamui takes his cards and goes home--abandoning his team when they need him most. With Q4 missing a key member of its lineup, and too focused on getting Kamui back to concentrate on the battles before them, Team Q4 is pushed out of the national tournament by Team Foo Fighter AL4. Kamui returns afterward, vowing to grow stronger and push his team to the nationals. 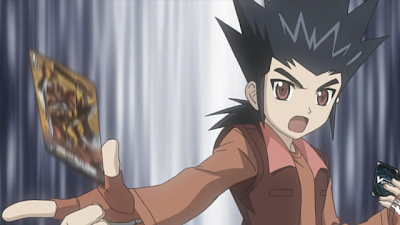 While locked out of much of the series' continuity, Kamui works together with Misaki to hold back Aichi's PSY Qualia during the second national competition. Ultimately he's able to hold up his end of their plan using Stern Blaukruger's counterblast, but can do nothing for Misaki in her own fight against Team Foo Fighter Brilliant Stars. In Q4's bout with Team Caesar, Kamui clears the first match against Usui "Gladiator" Gai, earning the veteran fighter's respect. As season 1 nears its climax, Kamui is paired off with Tetsu for the final round between Quadrifoglio and Apex Limited Four. Although ultimately the loser of the match, Kamui comes away with the moral high ground, leaving Tetsu shaken and uncertain of the decisions he's made. Cheering on his teammates through the finals, Kamui is later present at the award ceremony and eventually joins Team Handsome in the tournament aftermath. During the Asia Circuit, Kamui is traded back into Q4. Journeying with Aichi to Singapore, he works to stabilize his position as the team's strongest raw fighter, typically plowing through his match before either of his teammates can finish their own. Following the team's collective loss at the Singapore stage, Kamui finds himself defeated in his home country by none other than his opponent from the national finals, Shinjou Tetsu. Taking a hard lesson that no one has stopped developing since the end of that tournament, Kamui develops a gradual rivalry with Tetsu as he takes additional losses to Kai in Seoul and to Shinjou at the team's follow-up training camp. Seeking to surpass his opponents and innovate with a new strategy to adapt to the limit break climate, Kamui starts over at square zero with his original Battleraizer card, building a Raizer Series deck to compete in the new pro scene. Manga Biography: While still a strong fighter in the manga, Kamui's backstory with Gouki and Team Handsome is not present. Instead, Kamui's original card shop was overtaken by the Foo Fighters, and he was forced out. Kamui eventually swears revenge against them, and works with the other customers of Card Capital to defeat Kyou, the ringleader in dominating his shop. Universal Notes: Kamui uses the self-important pronoun "ore-sama," a smug and macho way of talking. This is typically translated as "Kamui the Great..." Yahagi Kyou also uses this pronoun, marking him clearly as Kamui's counterpart--ironically, Kamui is the only major cast member to never fight his Foo Fighter equivalent. Kamui favors the Nova Grappler clan, which combines heavy-hitting power house units like Genocide Jack with skills that can stand the rearguard to make multiple attacks. For this reason his primary grade 3 early in the series is Asura Kaiser, but gradually he shifts to favor Mr. Invincible's ability to unflip damage. Kamui's second deck shows his preference moving toward the Blau series, and a more stand-heavy build. Omitting certain generic cards possessed by other clans like Shout, Kamui tunes his new deck with the self-standing Death Army series and phases Genocide Jack out slightly in favor of calling Death Metal Droid as a rearguard. In ride 52 Kamui rebuilds his deck along with the rest of Q4. Though this deck is not featured as prominently as his teammates', as a general trend it takes advantage of Nova Grappler's standing abilities and combines them with voluntarily resting rearguards to activate skills. This allows Kamui to make a normal amount of attacks each turn while gaining power through Top Gun and cards through Street Bouncer. Kamui's initial deck for the Asia Circuit revolves around the Beast Deity series. Most likely a strategy he learned from Misaki, Kamui uses the series' on-hit skills to stack his deck and search out Azure Dragon copies to fuel its personal blast. Having more in common with his early season 1 decks, this build returns to older Nova Grappler tactics, employing a sixth stand trigger to better support launching repeated full-power attacks. Kamui's second Circuit deck follows through on his return to old tactics, working from the ground up with Battleraizer to perfect the Raizer series line into a new, power gain-focused build that benefits from having other units out. Bringing him closer in line with his manga counterpart, Kamui takes advantage of his counterblast no longer being reserved for Azure Dragon's persona blast in order to make use of older cards he once avoided like Kirara. Kamui's final deck of the Circuit chapter develops the Beast Deity play style that he started the season out with into a deck based around Illuminal Dragon, Azure Dragon's crossride. This gives the deck a strong endgame that it previously lacked, standing his rearguards with Illuminal's autoskill to subvert the typical problem of Azure's being nullified by the opponent's defenses. The addition of Blank Marsh and Golden Anglet helps this, as Blank Marsh can stand his Beast Deity rearguards just like White Tiger, and Anglet gains power from being standed; when multiple stand skills are combined, Anglet becomes capable of independent attacks that place serious pressure on the opponent. Like his anime counterpart, Kamui's manga deck is a Nova Grappler build. Here it's built around the Raizer series, which gain power based on the additional Raizers present on the field or in the soul. This deck also features an alternative heal trigger to his anime incarnation, while having missing the emphasis on unflipping counterblast. 1. "葛木カムイ." KeroKero Ace Vol. 45 1 Sept. 2011: 10-11. Print. 2. Cardfight!! Vanguard Ride 1. Crunchyroll, 2011. Web. 14 Mar. 2012. 3. "Cardfight!! Vanguard English Version - NicoNico Channel." NicoNico Channel. NicoNico Douga, 11 Mar. 2012. Web. 14 Mar. 2012. <http://ch.nicovideo.jp/channel/vanguard-dub>. 4. "Kamui Katsuragi." MyAnimeList. CraveOnline Media, LLC., n.d. Web. 14 Mar. 2012. <myanimelist.net/character/39594/Kamui_Katsuragi>. 5. "Character birthdays." KeroKero Ace Vol. 50 1 Mar. 2012. Print. 6. Cardfight!! Vanguard Asia Circuit Hen Ride 70. YouTube, 2012. Web. 3 June 2012.